ASTM A240 / UNS S31600 - S31603 / DIN 1.4401 - 1.4436 - 1.4404 - 1.4435. SS 316 Plain Sheets, SS 316L Shim Sheet, SS 316L Export Polish Sheets, SS 316 Circle, SS 316L Galvanized Coils, SS 316 Slitting Coils, Austenitic Stainless Steel 316 Sheets & Plates, SS 316L Sheets, Plates & Coils Exporter, SS 316 Diamond Plate, SS 316 Perforated Sheet, SS 316L Chequered Plate, SS 316 Strip, SS 316L Polished Plates, SS 316 Foils. Are you looking for the reputed and leading manufacturer that can offer you high quality of SS 316 / 316L Sheets Plates? If your answer is yes, then Jayesh Metal is the right choice available in front of you. These are high-quality stainless steel sheets and plates that are also known as marine grade and offer resistance to pitting and corrosion in an aggressive environment. These sheets and plates are considered ideal for applications that are used in salt water and acidic chemicals media. Well, this type of stainless steel is widely used in the pharmacy and food industry that require minimum metallic contamination. 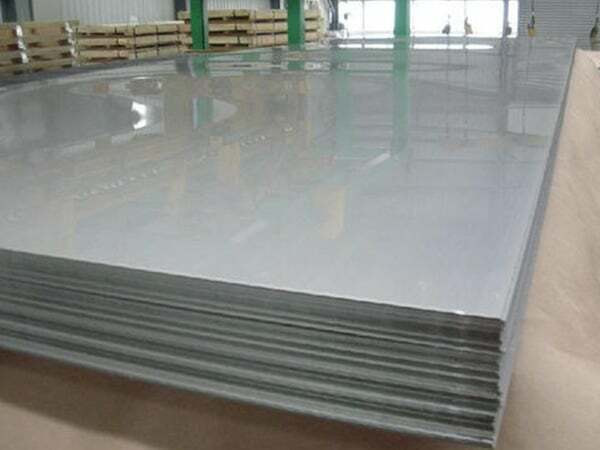 These stainless steel sheets and plates are known best for to its superior resistance to corrosion and oxidation, withstand in the high saline environment, and have excellent weight bearing capacity and durability. With it, these sheets are easy to clean and hardenable by non-magnetic and cold working. Furthermore, these stainless sheets and plates are manufactured using high quality of raw material that is well tested in accordance with the international quality standards. You can see these sheets and plates being used in oil and petroleum equipment, paper processing equipment, soap as well as photographic handling equipment. Well, talking about the specifications and standards of SS 316 / 316L Sheets Plates they include ASTM A240 standards. The thickness of these sheets and plates varies from 0.4mm to 6.0mm whereas its width is 1000mm, 1250mm and more as per the demand of customers. These sheets and plates are individually wrapped in a best packaging material and delivered to their respective customers in the same quality as they were manufactured. ss 316l shim sheets, ss 316l coils price list, stainless steel plates exporter in india, Stainless steel 316 coils exporter in mumbai, stainless steel 316 plate price list, 316 sheets specification, 316l stainless steel sheet, ss 316 Plate price list, stainless steel 316l sheet manufaturer in India, hot rolled coil uses, Stainless steel 316 Sheet exporter in India, hot dipped galvanized ss coils, Stainless steel 316 sheet supplier in mumbai, 316 stainless steel plates, ss 316 blank suppliers, stainless steel 316 profile dealers, ss 316l Sheet Supplier in India, 316 stainless steel coils, ss cold rolled plate supplier, ss 316 hot rolled plate stocks, galvalume ss coil, stainless steel cold rolled coils supplier, galvanized stainless steel coil prices, astm a240 ss 316l circles exporter, stainless steel 316l coil manufaturer in India, ss plates price india, ss 316 sheet price list, cold rolled ss 316 coils mechanical properties, ss 316 hot rolled plates dealers, stainless steel coils exporter in india, stainless steel 316l cold rolled sheet distributors, pre painted stainless steel 316 coil suppliers, stainless steel 316l Sheet manufaturer in mumbai, stainless steel 316l sheets price, stainless steel 316 sheet exporter in mumbai, 26 gauge stainless steel coil, ss 316 coils weight. Tibet, Italy, Sweden, Egypt, Iraq, Iran, Finland, Philippines, Nigeria, Mexico, Oman, Belgium, Indonesia, Iran, United Arab Emirates, Zimbabwe, Jordan, Singapore, Ghana, Yemen, Nigeria, Trinidad & Tobago,Tunisia, Poland, Denmark, Afghanistan, United Kingdom, Hong Kong, Poland, Azerbaijan, South Korea, Lebanon, Qatar, Chile, Greece, Turkey, Sri Lanka, Algeria, Brazil, Kazakhstan, Lithuania, Taiwan, Vietnam, Croatia, Switzerland, Ukraine, Puerto Rico, Gabon, Gambia, Spain, United States, Libya, Australia, Japan, Peru, Malaysia, Macau, Slovakia, Austria, China, Nepal, Israel, Argentina, Saudi Arabia, India, Bhutan, Hungary, Colombia, France, Germany, Bahrain, Bolivia, Netherlands, Romania, Ecuador, Estonia, Bangladesh, Pakistan, Kuwait, Costa Rica, Thailand, Bulgaria, Mexico, Morocco, New Zealand, Serbia, Portugal, Namibia, Russia, Angola, Ireland, Norway, Czech Republic, Venezuela, Mongolia, South Africa, Canada, Belarus, Kenya, Chile. Mexico City, Courbevoie, Toronto, Milan, Granada, Houston, Dammam, Dubai, Lahore, Ahvaz, Istanbul, Dallas, Jaipur, Busan, Lagos, Mumbai, Riyadh, Hong Kong, Vadodara, Bangkok, Hanoi, Baroda, Ulsan, Atyrau, Navi Mumbai, Gurgaon, Petaling Jaya, Faridabad, Secunderabad, New York, Brisbane, Ankara, Tehran, Al Jubail, Rajkot, London, Chennai, Pune, Surat, Manama, Ho Chi Minh City, Madrid, Ernakulam, Colombo, Muscat, Ranchi, Kanpur, Jakarta, Nashik, New Delhi, Doha, Gimhae-si, Perth, Vung Tau, Cairo, Thane, Thiruvananthapuram, Edmonton, Sydney, Santiago, Noida, Karachi, Bhopal, Kolkata, Jamshedpur, Haryana, Calgary, Chiyoda, Ludhiana, Caracas, Nagpur, Kuwait City, Seoul, Jeddah, Al Khobar, Pimpri-Chinchwad, Ahmedabad, Sharjah, Rio de Janeiro, Bogota, Visakhapatnam, Port-of-Spain, Bengaluru, Singapore, Coimbatore, Geoje-si, Los Angeles, Melbourne, Aberdeen, Kuala Lumpur, Montreal, Abu Dhabi, Indore, La Victoria, Chandigarh, Moscow, Algiers, Hyderabad, Howrah.